Come learn how the Alzheimer's Association can support you, family members and friends. Nicole Francoeur, Development Officer for the Alzheimer's Association of MA/NH will give an overview of the Association. Join us for a fun session of exploring the power of storytelling! Martha is the author of Therapeutic Misadventures, a hospice and palliative care giver, and a passionate lover of storytelling. Ms. Schaefer is launching a project whose mission is to take our fascination with stories, blend it with a love of elder care, share them with family, and when appropriate; the community. We all tell stories that have a moral, stories that entertain, and perhaps stories that enlighten and educate. “Tell me a story…” A simple request from a child and the basis of our most human communication. The telling of a story, like a smile, rewards both the teller and the listener. Everyone has stories and every story is important! Dr. Kazmouz, is a family physician with specialty training in geriatric medicine. He completed his Geriatric Medicine training at the University of Michigan in 1998 and has over 20 years of experience. He founded "Medicine at Your Door", a medical practice devoted to provifing compassionate medical care to NH residents in the comfort of their own homes. Dr. Kazmouz has extensive experience managing the health care needs of seniors. He also provides medical and hospice services to residents at several assisted living and memory care facilities. Dr. Kazmouz will join the other supplemental service providers for the residents at Summerhill. Dr. Owen Houghton, a caregiver and husband of a Summerhill resident, shares his views on aging wellness as the holidays approach. Friendships and relationships contribute to healthy aging. The courage to grow old – hope and happiness. Finding comfort with ups and downs of aging. "Not today, I am in too much pain." "Maybe later, I need to rest a while, my back is sore." "How about another time, I am painful today." Join us as we navigate through the components of pain, discover techniques to manage pain, and learn to move through life again! Nursing since 1998, Annie has specialized in geriatrics and moreover, Dementia and Alzheimer's care since 2009. She’s been involved with Assisted Living and Memory Care professionally and personally for the past 12 years. Annie was appointed to the NH Board of Nursing by Governor Lynch in 2012 and most recently by Governor Sununu. As an advocate for residents, she believes they deserve the best care, 100% every day, in all areas of their lives, given with respect and integrity, while honoring their dignity. Annie has a high expectations of herself, staff and fosters team care, professionalism and humor. Annie has two children, a son Robert, 28 who is a Nursing Home Administrator in the Boston area, and a daughter Julia, 26 who is an ICU nurse. They are the reason my heart beats. Joan Marcoux, Hearing, Vision, and Speech specialist promotes communication access for individuals who have hearing, vision, and speech challenges. She will demonstrates apps that are available on the phone; to read what is being said by others, along with smartphone and tablets that can be used for communication including Assistive Listening Devices. Liz considers the poem by Dylan Thomas (alas, no relation), "Do Not Go Gentle Into That Good Night" with its phrase, "Rage, rage, against the dying of the light" with both interest and skepticism, because all of us elders see the "dying of the light" but "rage" may not be the best reaction. Humor and other reactions are but a great medicine to consider. She will read a few sections of her book and discuss some of her own aging symptoms, along with how our cultural reacts to such symptoms. As Liz says, "Aging isn't for the faint-hearted, so let stand together and make the most of it." Well ~ Science says with a healthy lifestyle, we can! Summerhill believes in a well rounded approach to resident care. Studies show that the aging process slows down when the emphasis is on the well-being of the entire body. Our staff focuses on encouraging exercise, cognitive stimulation and a healthy diet on a daily basis. Come participate in the presentation and demonstration and taste some delicious foods created by Chef Aylmer Given. "It's not just about living longer, but living better for longer". Sheilla Parkerson will discuss how exercise and the use of essential oils can enhance our health and wellness as we age gracefully. Sheilla has a bachelor's degree in Exercise Science from UMASS Amherst and has over 20 years of experience as a Fitness Professional. She is the Owner and Manager of QueViva Fitness LLC in Jaffrey and is also a Wellness Advocate for doTERRA Essential Oils. Polly and Jim Curran will talk about their two years in Iran from June 1958 to June 1960. It was ruled by the last Shah, who was later expelled by a revolution in 1979. All the Iranians they met were friendly and well disposed towards the US. Jim worked at the US Embassy in Tehran and Polly volunteered in a new orphanage, learned Persian while raising their five children. Pam Erdmann will discuss what Mindfulness is, its origins and current applications along with some of its benefits. Pam has taught Mindfulness in correctional systems, hospitals, schools, corporations and the Univ. Massachusetts Clinic. Currently Pam supervises MBSR teachers at U. Mass, Southern CA Univ. and the University of Wales. Adam Hamilton from People’s Bank will speak about recognizing and reducing elder financial fraud. This will include how to guard against identity theft, planning for unexpected change in handling your finances and preparing for financial disasters. An RSVP would be appreciated. Please call our concierge 924-6238 by May 30th. Yoga can be good for all of us, regardless of body type or level of experience. Chris, a certified Kripalu yoga instructor, will talk about yoga as mindful movement. She will explain how yoga helps us stay in touch with our self and improves breathing, circulation, joint health, and balance. Come join us as we stretch, loosen up, maybe even reduce a bit of stress and realize the benefits of feeling alive and healthy. Joan Bickford will lead this discussion to share how Life-Sustaining treatment is decided upon between conversations you have with loved ones and your medical providers. The goal of POLST is to ensure that individuals make choices about the treatments they want and that these choices are honored and followed by medical providers. Learn how a POLST form is different from an Advance Directive or portable DNR form. Joan Bickford, RN has specializing in hospice care for 13 years and is a hospice care consultant for Compassus Hospice and Palliative Care. An RSVP would be appreciated. Please call our concierge 924-6238 by May 2nd. Unlike a legal will that transfers worldly possessions, an ethical will bequeaths values, ideas, and personal reflections to family members and other loved ones. Come learn about these documents that can be characterized as windows into the souls of those who write them, and how they can be cherished by family members for generations. Rev. Barbara Harlow serves Summerhill as an interfaith chaplain, providing in-house spiritual care, since 2011. DUE TO LIMITED SPACE, AN RSVP WOULD BE APPRECIATED. PLEASE CALL 924-6238 BY APRIL 4TH. Susie Hunter will share her experience of caring for her husband at home once he was diagnosed with dementia. She will also speak about the process of looking ahead to her future. In the last twenty-five years, Susie has re-invented her professional career several times, most recently as an eldercare provider. Susie and her husband, Bruce were childhood sweethearts who raised two sons. Once the family was settled, she found a professional career in PR. This experience led to opening her own company, which provided special events support to corporations. Her clients included the Tufts Health Plan and the Moscow International Marathon. Since then while Bruce found his interest in renovating historical structures, Susie continued running, gardening and having a landscape design business. DUE TO LIMITED SPACE, AN RSVP WOULD BE APPRECIATED. PLEASE ADVISE CONCIERGE OR CALL 924-6238 BY FEBRUARY 27TH. Ben Paquin will discuss how for many individuals, Cabin Fever is an unwelcome occurrence that happens around the winter months. Such malaise can be the result of getting less sunlight, inactivity, isolation, or even diet. You can experience it at a home alone or within a residential community. Ben Paquin is partner and Director for the New Hampshire and Maine branch of Seniors Helping Seniors®, a Licensed Personal Care and Healthcare provider. 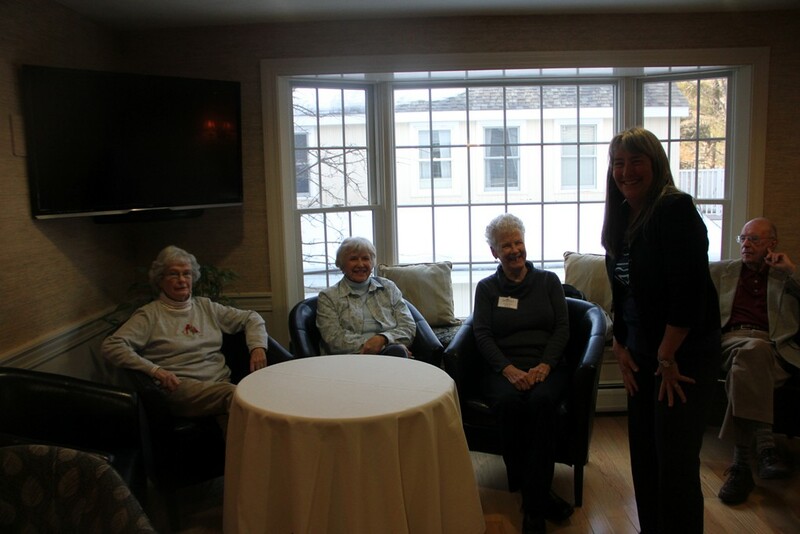 Seniors Helping Seniors provides quality senior care services with a twist... Seniors Helping Seniors offer services for seniors BY seniors. Nina Pollock RN, MS will discuss the difference between hospice and palliative care and how it has evolved in the last 10 years. She will give input on how this service can truly enhance life for a loved one and their family and friends. Nina taught nursing at Ursuline College for 20 years. Currently she is a per diem Hospice Home Care RN for Home Healthcare Hospice and Community Services. Louise and Bernie Watson have been playing the piano and singing for admiring audiences in the Monadnock area for many years. They often captivate listeners when sharing a bit of history about the classical and “Golden Oldies” music, triggering familiar memories for many. Come sing along with this talented and fun entertaining duo. Mary Pat will introduce Pat O’Connell, RN, M. Ed, IBCLC Director of Resident Care at Summerhill. Pat comes to us with many years of experience both locally at the Monadnock Community Hospital and in the Nashua area. She has implemented new programs and written articles in various medical publications. In addition to strong clinical skills, Pat excels in teaching and mentoring young health care professionals. Please join us if you or a loved one are looking into choices for the future and have questions about assisted living or memory care. This discussion is about the correlation between food and how it relates to the joy in our lives. The many ways that we recall special events in our lives and how often times the connection to that memory is in the tradition of foods that we enjoy with our family and friends. 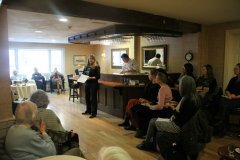 This in depth look at how foods trigger memories was the topic of a recent memory café hosted by Aylmer the Director of culinary Services at Summerhill Assisted Living. As a result of this discussion and the enthusiasm that it created, Summerhill has embarked on a mission to create a cookbook filled with special recipes, and the stories behind them, from the residents that catalog and preserve some of these memorable family traditions, for years to come. We are asking all family to assist their Mom’s and Dad’s in selecting that one recipe that has great value to the family. To take it a step further, every Thursday evening, throughout the winter months, in an event that we call “Wine & Dine” a recipe will be chosen, and prepared by our chef for the entire Assisted Living community to sample and enjoy. A photo will be taken of the resident holding a plate of the finished food. So please, let Aylmer or Jean know if you would like to submit a special recipe, along with the story behind it. Hurry, the spaces are filling up fast, and we want to make sure we include your special family tradition. Many individuals may be considering comfort care that aligns with their goals of care rather than pursuing curative treatment. Learn about the hospice services, who is eligible, and how the services are covered. Dispelling common myths about hospice and when to consider hospice care will be addressed in this interactive session. Joan Bickford, RN has specialized in hospice care for the last 13 years. Currently, she is a hospice care consultant for Compassus Hospice and Palliative Care. Considering Assisted Living or Memory Care? Maria Towers, RN, Resident Care Director and Mary Pat Jackson, Executive Director at Summerhill will lead a discussion and provide information on what steps need to be taken when considering memory care or assisted living communities. Please join us if you or a loved one are looking into choices for the future. Maryanne Ferguson, Community Wellness Manager at Cheshire Medical Center/Dartmouth Hitchcock-Keene will share some small steps that create big impacts in our health and well-being throughout life. She will also talk about social connections in relationship to our health and describe some "ageing-friendly" community concepts. Healthcare is unlike most other services we will access in our life time. We also don't always know upfront what our insurance (Medicare and Medicaid included) will and won't pay. Being an educated healthcare consumer can help reduce the surprise of an unexpected financial burden. This discussion aims to provide you with information about emergency medical services and how it is covered under Medicare to make you a more informed healthcare consumer. Joshua Patrick is a Deputy Chief and Clinical Manager for Peterborough Fire & Rescue. He is also a critical care paramedic. As an aging wellness educator, Owen R. Houghton of Jaffrey has experienced many transitions, both in the lives of his clients and most recently in his personal life as his wife Norma joined the Summerhill family in the Memory Care unit. His reminiscence extends from boyhood in Woodstock, Vermont where he learned maple sugarin’ to his recent experiences following an Alzheimer’s diagnosis which required changes. Dr. Houghton is Past Chair of the State Committee on Aging, a Vaughn Award recipient and a Monadnock at Home member. He has penned a monthly column since 1998 in the Sunday Keene Sentinel called “Age-Wise”, chronicling the Houghton’s journey in search of aging well in the Monadnock area. Mr. Mark Bergin will be giving a talk about antique toys. He specializes in mechanical, wind up and tin toys. Mark will speak about their history, collectability and whimsy that we all treasure: from your childhood, your parent's and your own children's childhood. He will bring a large display of toys from the 1900's - 1950's to view, watch in action, delight in and reminisce. 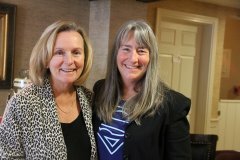 Colleen O’Connell, M.S., OTR/L, Owner/CEO of Birchwood Therapy Services is excited to speak of the recent changes within the therapy department here at Summerhill. Through collaboration with Interim Healthcare, we are able to provide more comprehensive therapy services. Colleen will discuss the differences between utilizing the Medicare A benefit versus the Medicare B benefit; and share what private pay opportunities Birchwood offers, if you are not eligible for therapy. 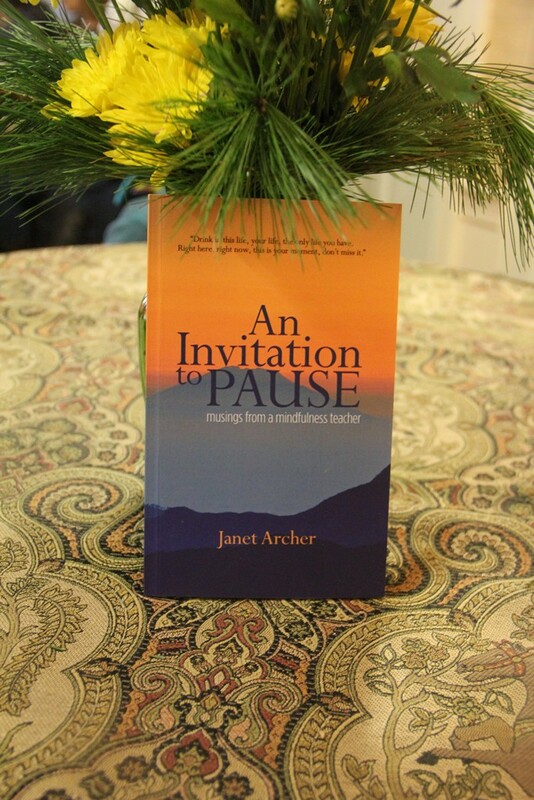 Janet Archer, author of “An Invitation to Pause” will share her personal insight of how to remain calm, and not be overwhelmed when caring for a loved one with dementia. 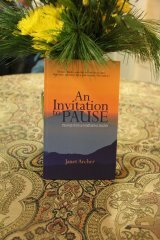 Her experience of how to be accepting and in the moment while focusing on the joys of the day, could help you build wonderful loving memories. When: January 7th from 2:00 - 3:00 PM in the Summerhill Assisted Living Pub. Attorney Phil Runyon will discuss powers of attorney and health care directives to enable others to handle legal and medical affairs for incapacitated seniors. He will also describe how assets may be passed on to family members without the need for expensive and time-consuming probate administration. Aylmer Given, Director of Culinary Services at Summerhill will speak to the “Turn A New Leaf” dietary program. This healthier eating program is all about making good and satisfying food choices. Come try some delicious samples. care givers to understand, connect and engage with this audience to allow them more independence in daily life. Jan Shultz, LPN and other Reiki practitioners will discuss what Reiki is and use of essential oils for aroma therapy. You will have the chance to experience Reiki firsthand. Jan has worked at Summerhill as Staff Nurse for 2.5 years and currently is Reiki Master volunteering at MCH. She studied Reiki with Libby Barnett at the Healing Center. Maria Towers, RN our Resident Care Director will speak to recognizing the initial signs and how to maintaining independence for those with Dementia and Alzheimer’s while at home and for those at an Assisted Living facility. Mary Pat lead discussion with residents recalling special Fourth of July traditions and past time. What the 4th means to them. Join our Chaplain, Barbara Harlow for a conversation about just what is our human nature with regards to loss and grief, gifts and joy? What are our losses? And, how are we continuing to live our lives, hopefully with a sense of gratitude and celebration? 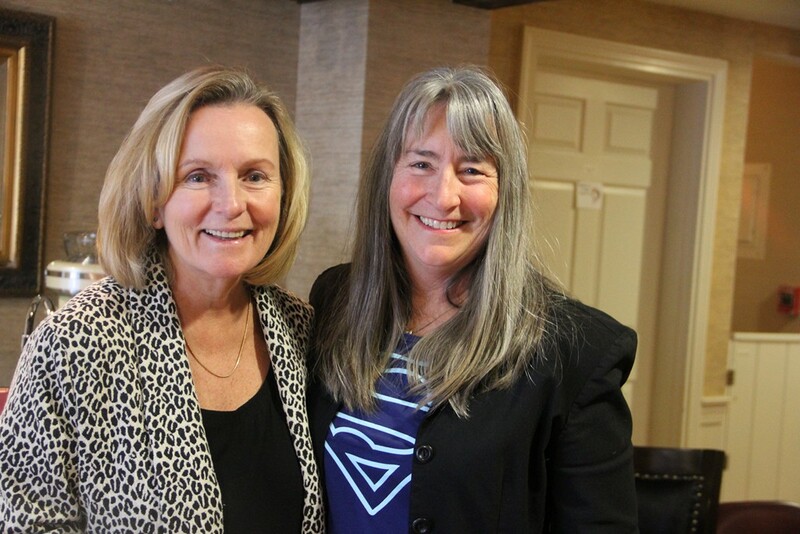 Caroline Kirkfield, VP at Home Care Assistance of New Hampshire will speak about those important lifestyle factors that are linked to healthy longevity and those with a sense of calmness and purpose. Joan Bickford, RN from Life Choice will speak to Medicare Hospice benefits. Joan has worked in hospice care for the last 12 years of her 35 years in nursing care. She will discuss the philosophy of Hospice care, those services offered, and eligibility considerations along with what Hospice care covers. Dementia in Depression: Why it's important to understand, evaluate and treat Dr. Betty LaFleur is a clinical psychologist and Chief Operating Officer at Generations Geriatric Mental Health. She was formerly the Director of Behavioral Health at Elliot Health System where she worked with Dr. Jwalant Vadalia in management of the Geripsychiatric Inpatient Unit. She has been dedicated to working with older adults since her internship in geriatric psychology in 1993 at the West Los Angeles VAMC Geriatric Research, Education and Clinical program. Dr. Lucas Shippee, from MCH, Monadnock Internal Medicine will speak to the issues of aging and dementia.